Calda House on Loch Assynt, at sunrise. On day two of our tutorial with Ian Cameron. 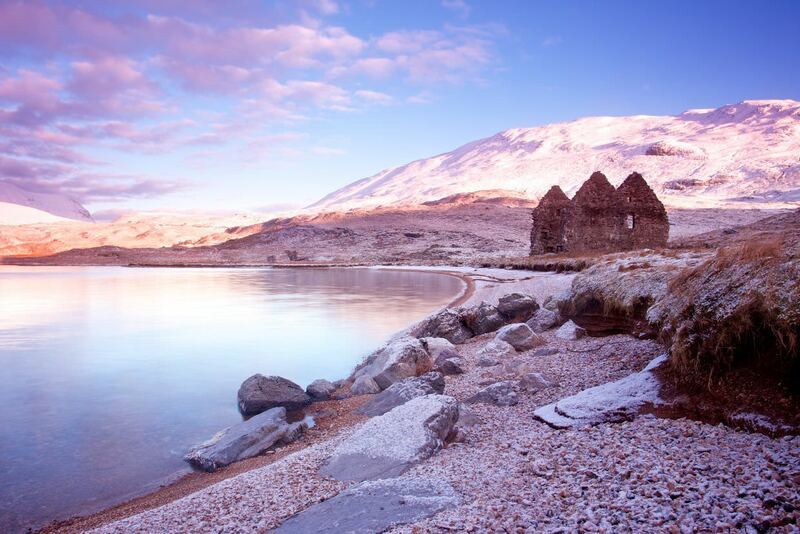 Welcome to your 30th birthday celebrations in the Scottish highlands! A long weekend full of fine food and photography. 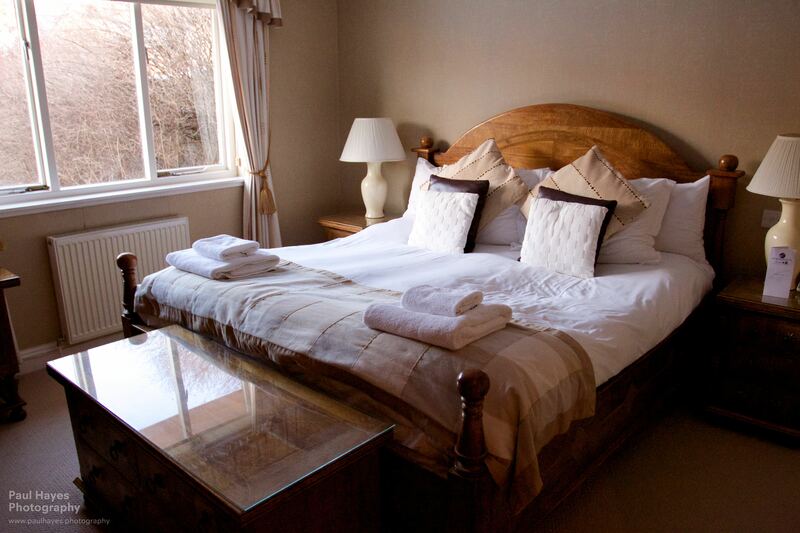 Return to Glenmoriston Town House, Inverness for a lovely lie in. 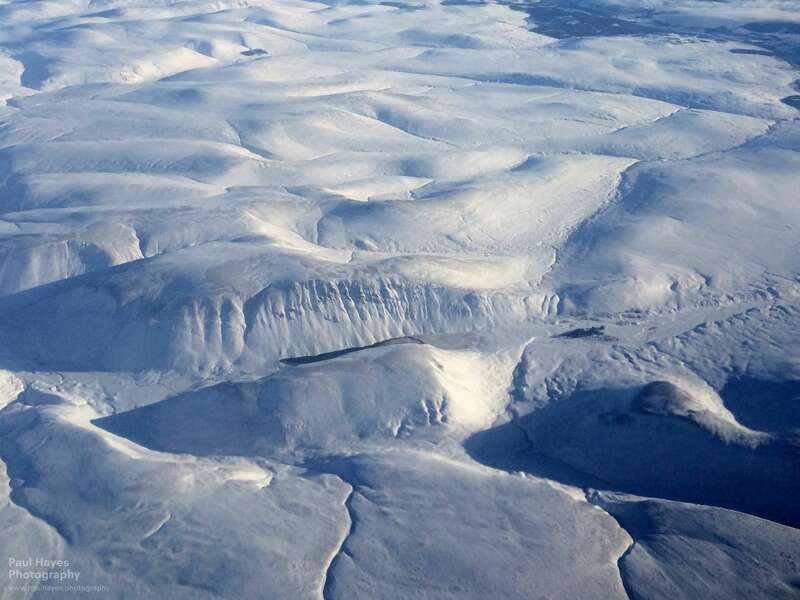 We took a midday EasyJet flight from Gatwick Airport to Inverness. While we waited for the flight, which was a little delayed (and we were nervous it’d be cancelled because of snow – there’d been travel problems all week in Scotland because of snow drifts), we enjoyed a cooked breakfast at the airport’s Comptoir Libanais restaurant; just as we had done for my birthday when in London, 2013. Soon we were in the air and flying North, over England’s clear skies, into Scotland, over the Cairngorms where the mountaintops looked beautiful after a fresh covering of snow, and down into Inverness, on the North coast, where I happened to see a pod of whales beneath the water. As flights go, that was good one. At the airport we hopped on the half-hour bus to Inverness town centre. It was colder, but not too cold. That didn’t stop us from dropping into a camping shop on route to our hotel to pick up a couple of warm things. Our hotel was nestled alongside the River Ness; you might guess what loch feeds that river. From town we walked along the frozen snow laden path with our luggage to The Glenmoriston Town House; Kate the friendly receptionist checked us in – she was in on the secret, and was unsure how much I already knew, she coyly played it safe. Our ground floor room was spacious and comfortable, though it was cold – the stone cold bathroom tiles necessitated a path of towels on the floor to avoid coldly hopping about like a mad man. 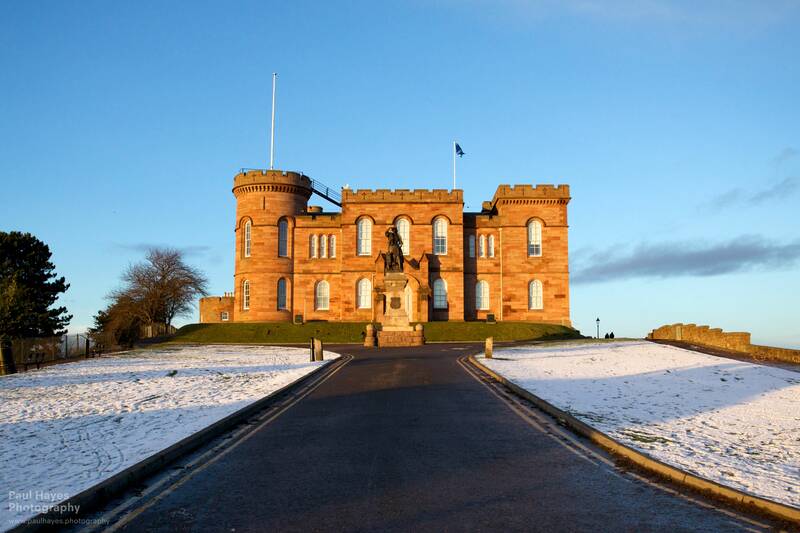 With a bit of time to spare (before the early sunset) we explored a little of Inverness town centre; walking along the river, then up to Inverness Castle (now a court room) – only the castle grounds are open to the public. From the castle you can see right the way West, towards the mountains, where the sun was casting a reddish light. We continued along the river a bit further, then double backed to the hotel for a hot chocolate and a rest before dinner. One of Sam’s main reasons for picking this hotel was its incredible food. Its brasserie, Contrast was outstanding, but it also had a high-end restaurant Abstract, where we’d choose to have their 7 course tasting menu. After cocktails in the bar we were seated, on Sam’s request, at their best table, a table for two with private mood lighting by a window looking out at the river through classy venetian blinds. The walls and furniture were made of a dark wood, and abstract black paintings hung on the wall, Gregory Porter music gave the restaurant a classy and smooth jazz ambiance. I chose the venison, and Sam had the crab, but otherwise our meals were identical. 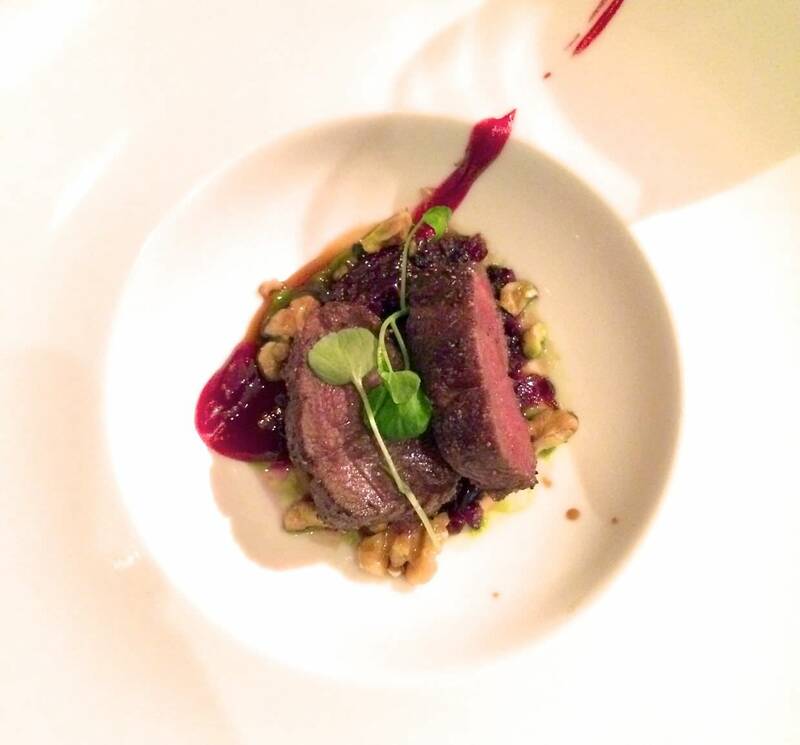 The venison was my highlight – the strong meat flavour combined excellently with sweetened walnuts, cabbage and beetroot; I savoured every bite. 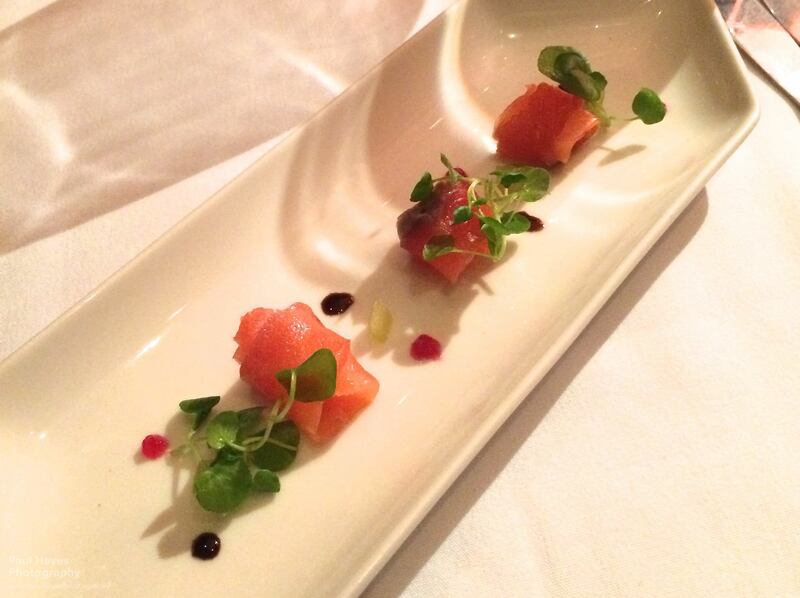 The simple cured salmon with a touch of whisky and ginger was also divine. Feeling loved, and full up on all that food (plus some lovely bread which they kept bringing), it was time to sleep; tomorrow our two day photography adventure would begin.